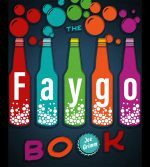 The Faygo Book is the story of Detroit’s beloved soda pop and how it has remained the last bottler standing in “pop alley” thanks to its pioneering techniques, rambunctious rainbow of flavors, and a fiercely loyal community. Joe Grimm carefully measures out the ingredients for a successful beverage company that has forged a bond with a city and its residents for more than a century in spite of dicey economic times in a boom-and-bust town. These stories and facts will tickle the taste buds and memories of Detroiters and Faygo lovers everywhere.